GAIA is looking for 4 more short-term volunteers for organising the 2nd edition of BREfest! This summer GAIA is organising the second edition of BREfest and a Youth Gathering in the mountain of Sharr. BREfest is an open-air, nature focused gathering with the intention of providing space for people to meet, share their love for the nature and visions. 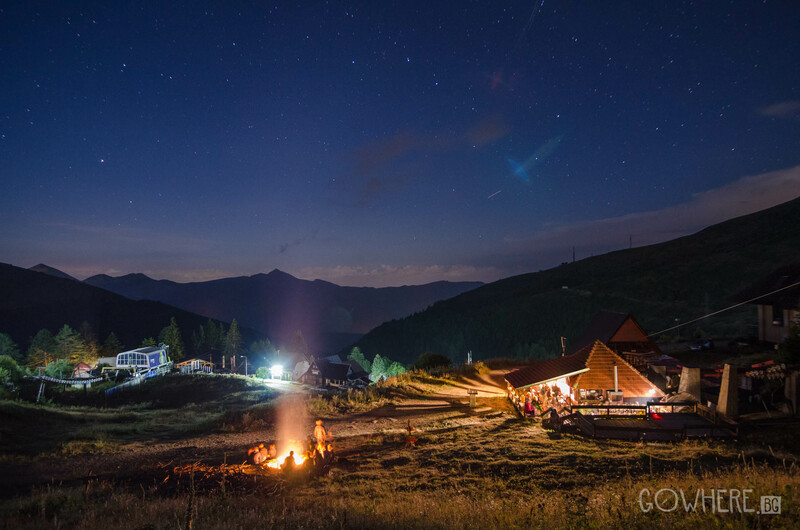 The first edition of BREfest was held last year in August, when more than 150 people came together in Brezovica, Kosovo for a festival of music and nature organized by GAIA (SCI Kosovo). Local people and guests from around Kosovo and neighboring countries gathered in the ski center of Brezovica for this nature celebration. This year BREfest will be accompanied by the Youth for Sharr Gathering, which will gather 40 youngsters from the Balkan in order to create art inspired by the charming mountain and everything what is happening there; to collect stories and traditional knowledge; to document the wildlife of Sharr. As a mountain range Sharr represents a natural barrier in the heart of the Western Balkans with its dramatic landscapes, harsh climate and pristine nature. It is home to the endangered Balkan endemic species Balkan lynx (Lynx lynx balcanicus), brown bear (Ursos arctos), grey wolf (Canis lupus) and Balkan chamois (Rupicapra rupicapra balcanica) and others. In the same time it brings people together since Albanians, Bosniaks, Gorani, Macedonian, Serbs, RAE and Turks call it a home. The trans border location of Sharr (Kosovo, Macedonia, Albania), the uniqueness and richness of the mountain in terms of culture and nature heritage (on the tentative list of UNESCO World Heritage) makes it an ideal place for young people to discover their common deeper roots, to reflect on the intangible connections we all share and to get inspired for personal and professional development and growing. An intensive number of weeks of living sustainably in an international community and working together in organising BREfest and a youth gathering. Tasks of the volunteers will vary and will be related to organising both logistics and content, from building a stage to engaging with local community. The program will include DIY workshops, discussions, exhibitions, guided hikes, music and movie evenings. All concentrated on bringing up the existing knowledge about the mountain, herbs, wildlife, stories, traditional lifestyle, etc. Volunteers will be accommodated in Brezovica ski resort, sharing living space with other international GAIA volunteers (4-6 people per room). Volunteers will be cooking seasonal, vegetarian food together for themselves (supplies will be provided). Small amount of pocket money (at least 75 EUR per month); travel costs (sustainable means of transport are recommended – train, bus) up to 50 EUR are also covered. If you are open-minded, environmentally aware, creative, proactive, full of energy and motivated; willing to engage and work with people, but also independently, in the beautiful mountain of Sharr then this is something you should do this summer. Applicants should be from Albania, Bosnia & Herzegovina, Macedonia, Montenegro, Kosovo and Serbia. The official language will be English. Knowing Serbo-Croatian is an advantage since the main population of Brezovica is Serbian but, this is not a criteria. Please send your CV and Motivational Letter by July 14th 2018 to gaia.kosovo@gmail.com. However, the principle of first came first served will be applied.